Balochistan province is a place of strong heritage. This historical land was ruled by a myriad number of kings and monarchs who were endowed with unconditional power throughout the ages, whether it be, the Mughal emperors or the Macedonians, Arabs, Mongols or Ghaznivids. These conquerors and rulers often were defeated and overthrown but they bequeathed forts and other historical monuments to leave few permanent marks of their presence. One such fort is the Punnu Fort. Standing tall 15 kilometers away from the Turbat city, this historical site fascinates thousands of tourists across Balochistan annually. Reports by archaeologists unveil that the fort dates back to the 6000-8000 BC. The Punnu Fort is also famous as Meri-e-kalakech or Meri-Kalat, for this site is very familiar for the love story of “Sassi Punnu”. Mir Punnhun Khan or Mir Dostein Hoth was the son of Mir Aalii who was the son of King Mir Hoth Khan. Mir Punnhun Khan was from the tribe of Hoths (A local tribe in Balochistan). King Hoth was the son of Mir Jalal Khan who ruled Balochistan in the 12th Century. Whilst Sassi was the daughter of the Raja of Bhambore in Sindh. Punnu was a local prince whose love with Saassi remains a tragic romance which is popular in Sindh and Balochistan to-date. This story runs parallel to that of the tens of love stories in the Baloch tribe. Being a folklore of the Balochi and Sindi, this graved the attention of millions of people the world over. This revolves around a wife who remains faithful to her husband despite facing countless imbroglios to find her husband who was separated by the rivals. This story is also displayed in Shah Jo Risalo forming part of being one of the seven romances from the Sindh province. Having been written into a myriad number of local languages, this love story has been admired by many. 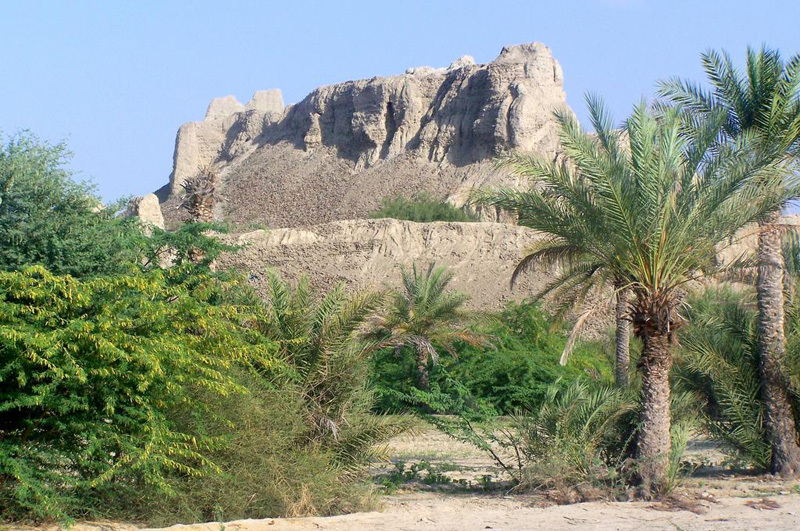 One of the striking fact about the fort is that some graves and skeletons were also cited by the archaeologists and is also a popular picnic point in the city with green date palms and meadows surrounding it. As seen, the fort is made up of mud and stones. I have heard about this decayed fort since my school days in my own village in Tump. And before one month or two, I visited the fort and felt upset when I witnessed the fort falling into decay. Unfortunately, this fort is falling apart and the provincial government is doing little to preserve it. In fact, it is not just the fort that is in a dismal state, even the condition of the road leading up to it is deplorable. As reported many times, foot-long portions of the road have collapsed and the wall of the fort is coming down. Villagers that have been living in the area for decades say that the state of neglect has been a longstanding issue. The provincial government and the authorities concerned must take steps to preserve the fort and construct the road leading up to it, besides providing basic amenities at such a historical site.